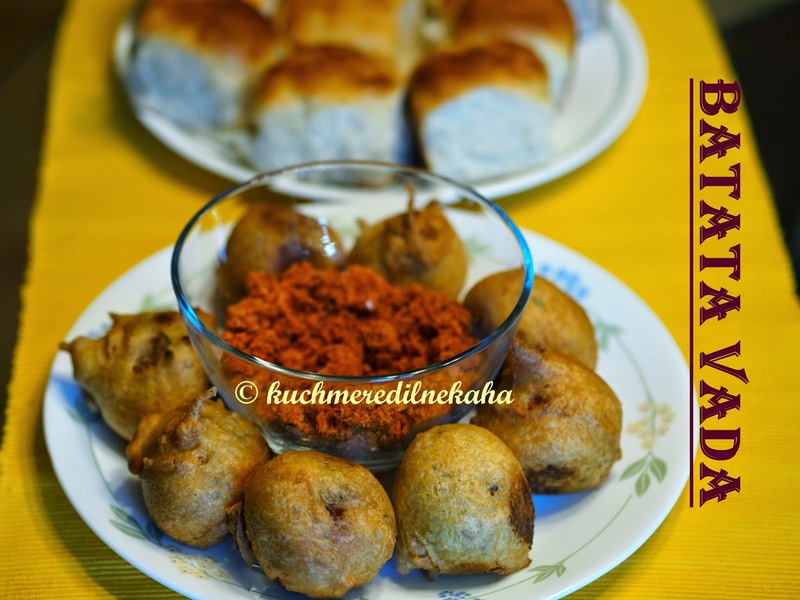 Batata vada or Alu bonda as some people call it, is made in different ways in different places. 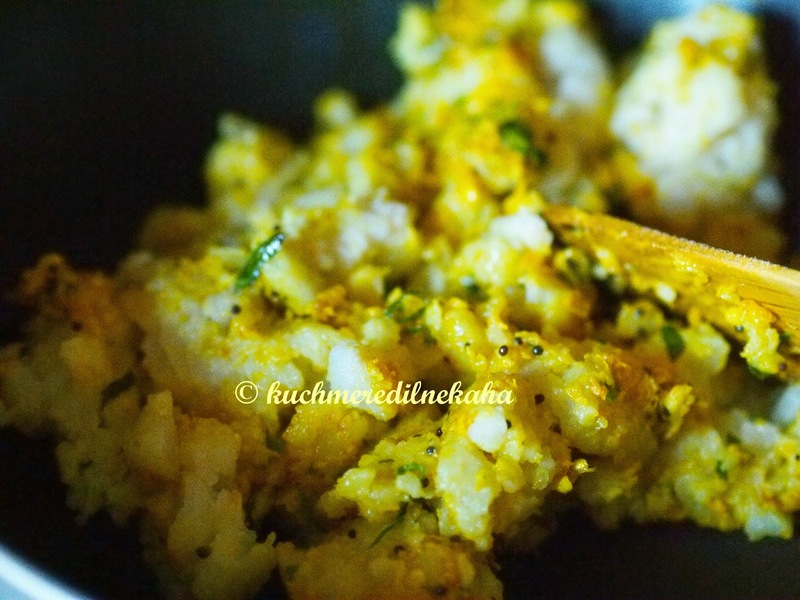 In Mumbai, it has a lot of garlicky flavor to it while Alu bondas made in south do not use garlic. Either way they both taste great. 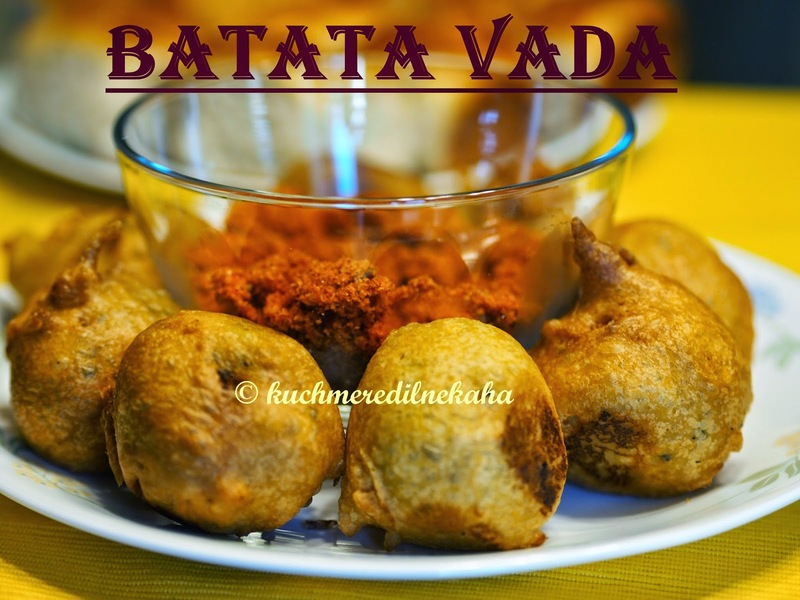 Personally, I have always been a huge fan of the Mumbai style batata vadas. 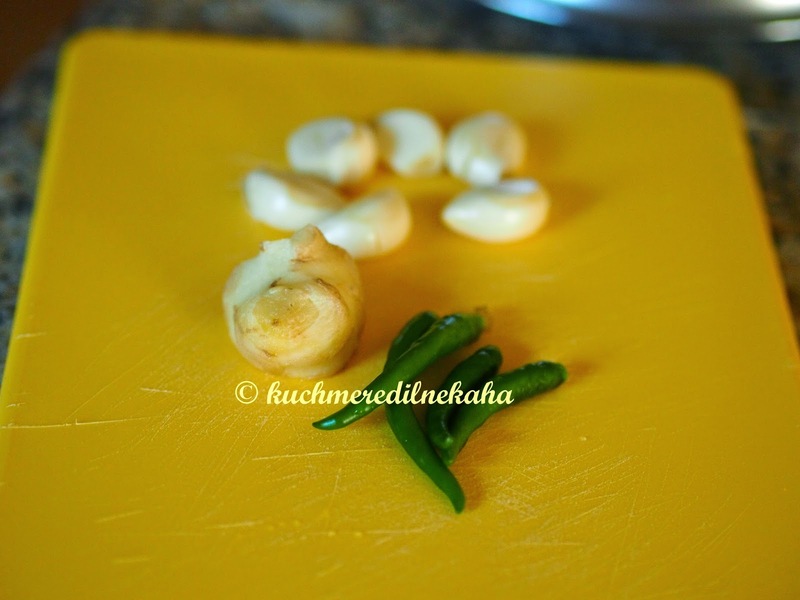 Finely chop green chillies, ginger and garlic. 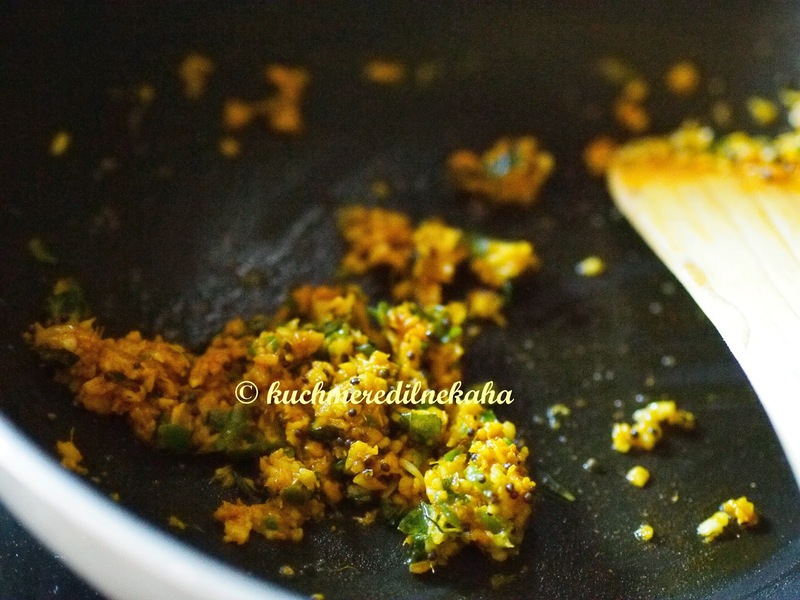 Heat oil in a kadai.When the oil is hot, add the mustard seeds , hing, haldi ( turmeric powder) and curry leaves and saute for a few seconds. 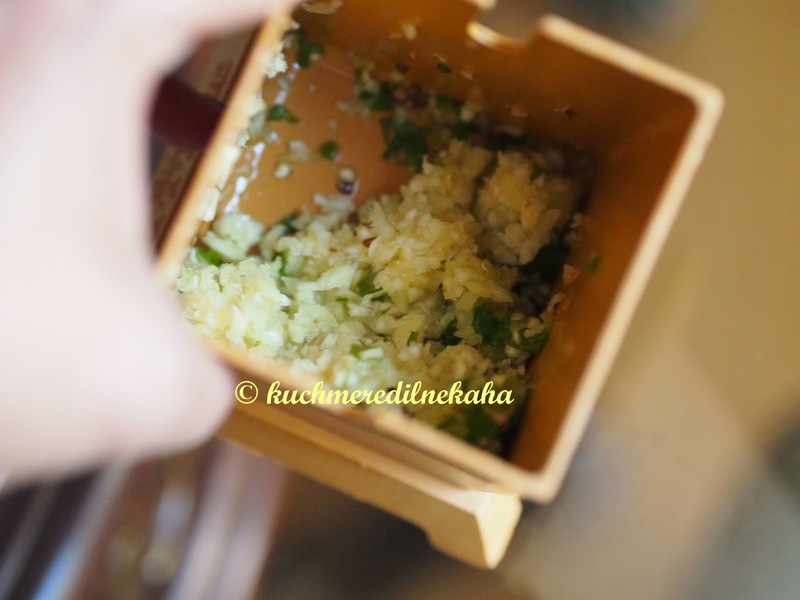 Then add the chopped mixture of chillies, ginger and garlic. 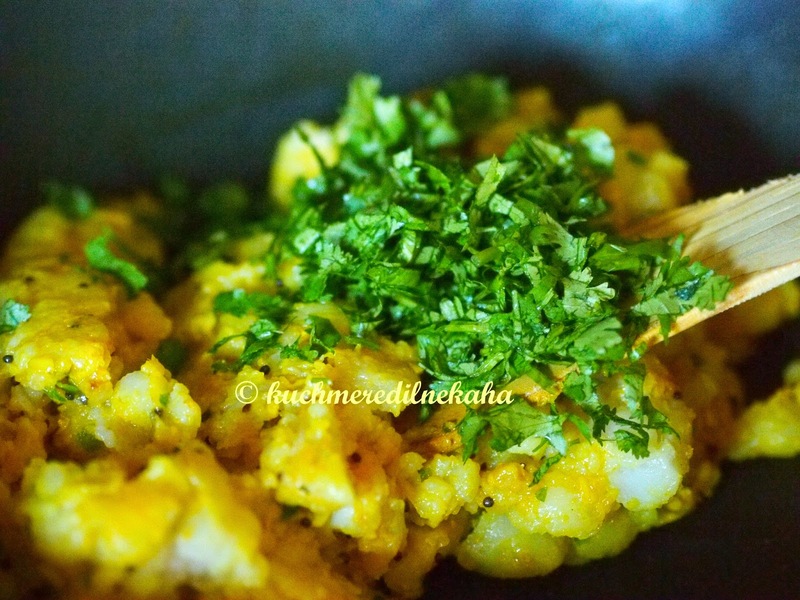 Now, add the mashed potatoes, lime juice, cilantro leaves( dhania) and salt and mix. 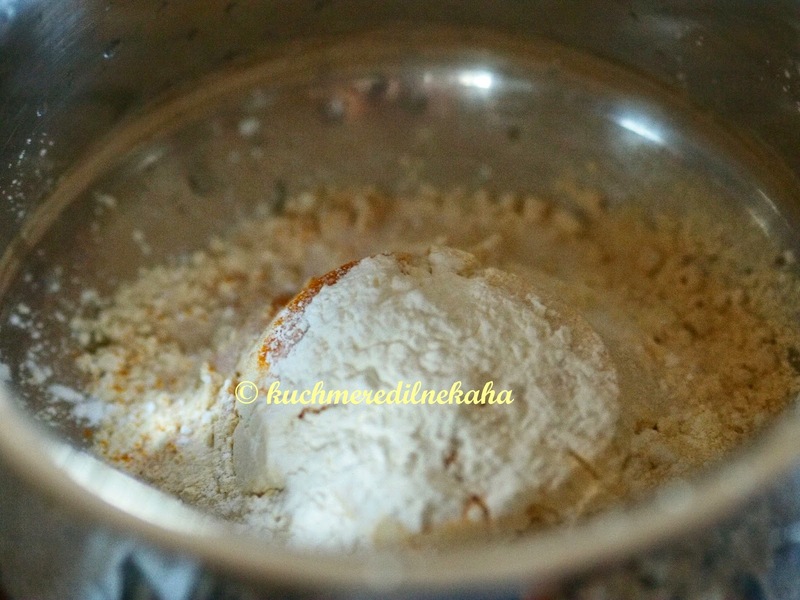 Make small balls out of this mixture and set it aside. 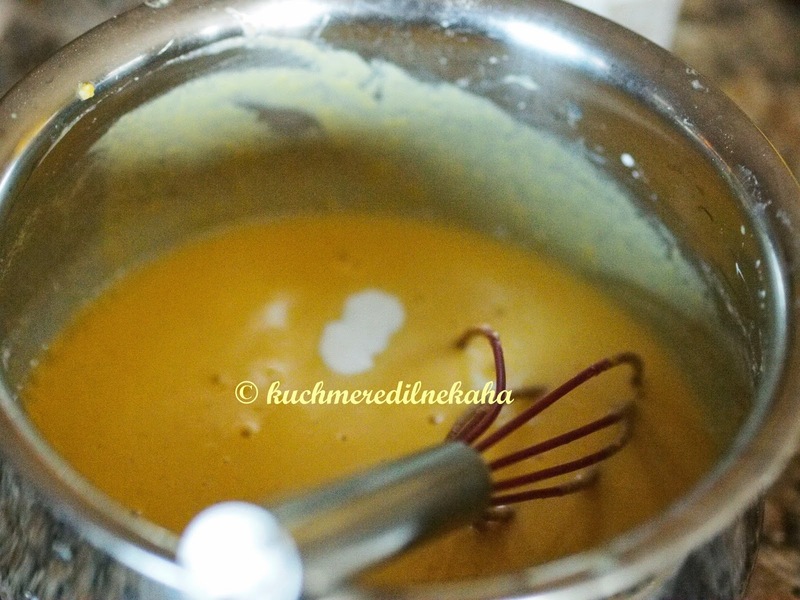 Take besan in a mixing bowl.To this,add turmeric powder (haldi) , salt ,1 tsp hot oil and a pinch of baking soda . 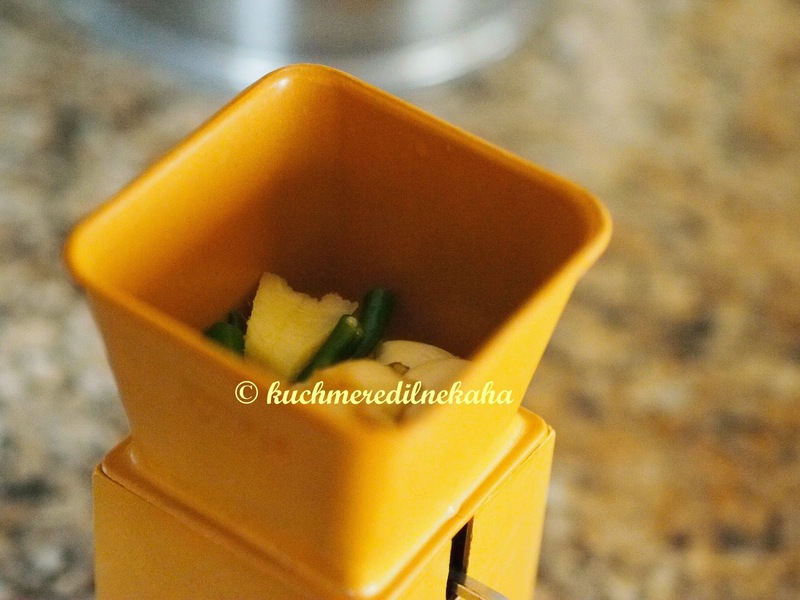 Adding water little by little to make a batter that is not too watery nor too thick. 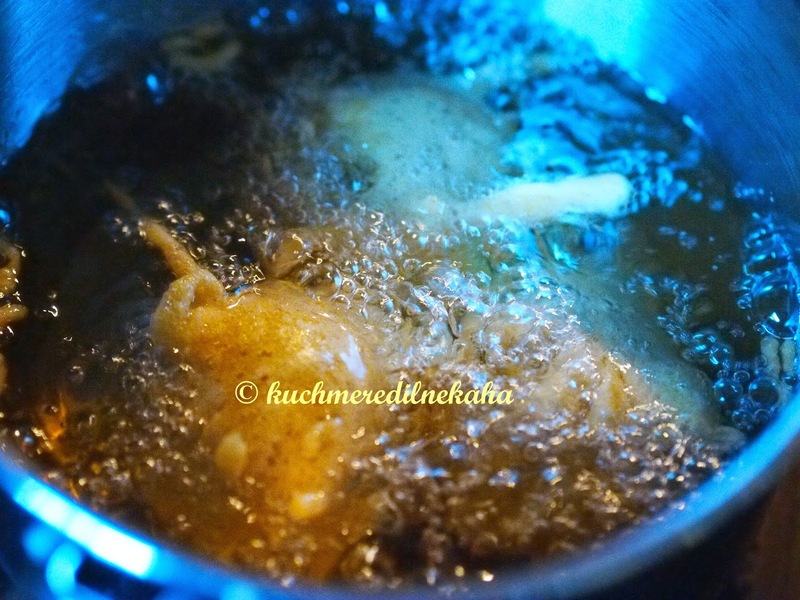 Just before you are ready to fry, add the corn starch and whisk it. 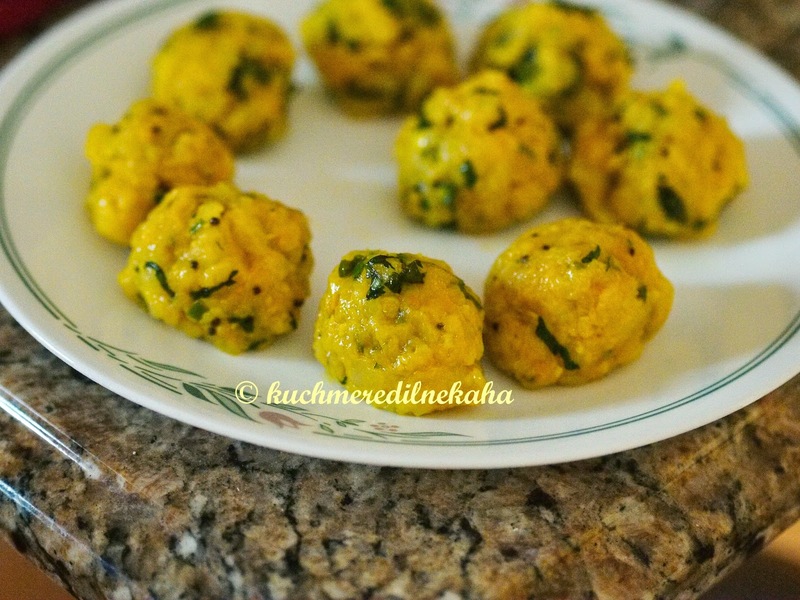 The corn starch makes the vadas crispy. 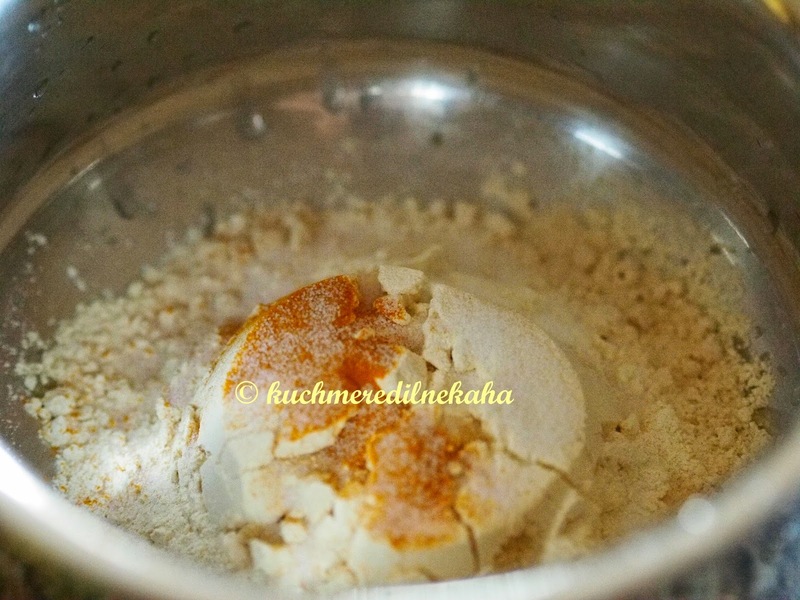 Deep each ball of the filling in the batter so that the batter is coated all over the ball. 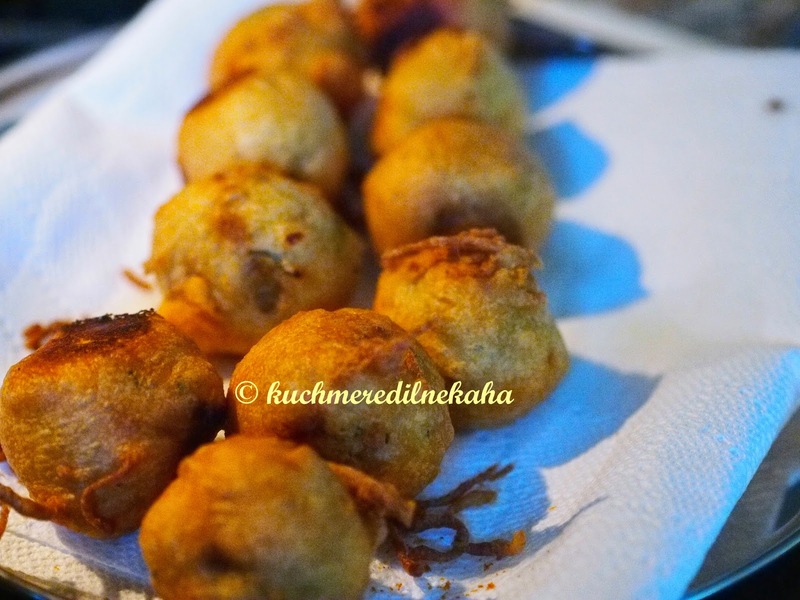 Deep fry in hot oil and serve with cilantro chutney or spicy garlic chutney.